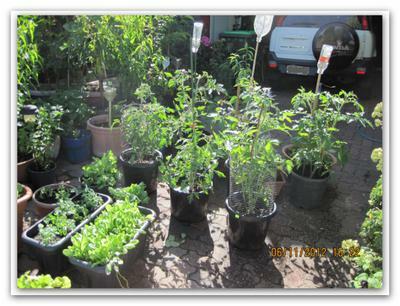 Retired electrical and electronic installations..now into organic gardening.! My story started back in the early 50's, back then my grandparents family, including the storer brothers, had a herbal chemist shop here in Halifax street Adelaide, it was in this little shop that they produced, the storers ivaline tonic, herbal stomach compounds, and natural nerve tonics. Most of the ingredients were found in most backyard gardens, one, important ingredient was from the good old pomegranate, including the dried and powdered skin, other compounds included licorice root, marshmallow root, dandelion root, ginseng, st johns wart, and many others, herbal teas are also very beneficial, along with water infused with lemon. Also growing your own organic fruit and veg is a very good way of minimising constipation episodes, mainly eating what is in season, and drinking at least 2 litres of water a day to improve colonic absorption, water and juice, add fluid to the colon and bulk to stools, making bowel movements softer and easier to pass. Because the colon needs water to do its job, dehydration can be a major cause of constipation. Watermelon, Rockmelons, are over 80% WATER, and drinking two or three cups of tea (no milk), along with other juice, compliment your daily intake of water. Exercise is also very important in reducing the severity and effects of constipation, improves circulation, oxygen supply, and bowel movements. There have also been varying studies carried out between early childhood abuse and poor healthy outcomes in later adult life....including constipation, poor eating habits, and substance abuse, also mental and physical trauma, as a result of early childhood stresses. My parents both consumed reasonably excessive amounts of alcohol, my father more-so, however they both smoked and took the old fashioned pain reliever known as Bex-powders, among other pain killers. From memory i believe They were also regular consumers of red meat, which i believe also took its toll, as red meat does not contain any insoluble fiber, which is found in fruit and leafy vegetables, including fresh (raw) peas and broad beans. among many others. Red meat is not the only source of protein, beans, lentils and many other vegetables along with eggs contain ample amounts of protein. As a child myself and also my younger sister, along with our mother were physically and mentally abused by our father, and as a result suffered certain types of what i know believe to be medically related conditions in later life, including severe bouts of constipation. In some chronic cases it is not uncommon to go 12 days without a bowel movement, in which such lengthy delays have now been linked to potential sigmoid colon cancers. As well as some stomach issues which i still believe were related to those early childhood stresses, even my sister had chronic health problems for many years, and after seeing many health professionals, and naturapaths confirmed her early childhood abuse, and resultant stresses were the most probable cause. Sadly both my parents were dead at the age of 58 years. both passed away from myocardial infarctions, and as a result i do not smoke, do not take pain killers of any type, but on the advice of my vascular surgeon have half a small wine glass of red wine with my evening meal, although not necessarily every night, maybe up to 4 to 5 times a week. One important fact is that after any alcohol, or strong caffeine beverages, such as black coffee, always dilute with a glass of water after consumption, the main problem with people who consume large amounts of alcohol or black coffee is that the input of these fluids exceeds the output, so over time a residual build up occurs, and your kidney's have to filter out the waste under already overloaded conditions. 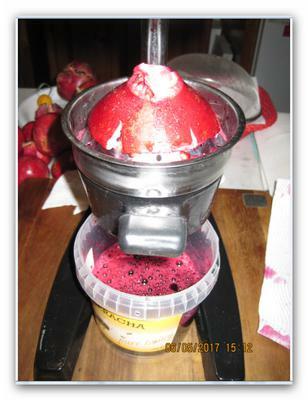 One juice that you can drink all year round is pomegranate juice, even out of season, by freezing the juice and then having it with mineral water throughout the year, pomegranates, blueberry's, and kiwi fruit, have some of the highest antioxidant, and vitamin C values which help boost your immune system and assist in good vascular health. Also aged Garlic, turmeric (curcumin root), cinnamon, Apple-cider vinegar, are also highly beneficial, in maintaining good gut and bowel health. I am now 69 yrs of age, my grandfather almost made 90 years and passed away in his sleep, no known cancers , heart attack, or stroke was found. My Grandfather also believed red meat was not good for your bowel health, but he did love his ox-tail soup,(the broth), without the flesh. Meanwhile the jury is still out on gluten in your diet, and unless you have been clinically diagnosed with celiac, then i can not see any reason to eliminate gluten completely from your diet. As i have been working in the electrical, traffic signal, and security industry , mainly outside physical work for over 50 years, getting plenty of free vitamin D, and exercise, i believe has helped me maintain better health in my latter years. And despite, having been involved in three major car rollovers, and in one case as a passenger being thrown through the wind-screen at 60 miles per hour, and ending up in the coorong just outside of tailem bend, and one rear-ender, a drunk driver ran into the back of my first car i ever owned, only sustained a whiplash, also falling in to a container of boiling fat, resulting in 3rd degree burns to both legs and back, falling off a two storey roof tearing my meniscus, cutting my head open requiring 12 stitches in an air conditioning duct, thats just some of my life's encounters. I guess i must count my lucky stars, as I am still here to write this short life story, i also try and get at least 6 hours sleep a day, and even an afternoon nap i find very beneficial as well. Although the main disappointment's happened to me in 1993, after 23 years of marriage, and almost 26 years we were together, my wife decided to start her life over again without me in it. You see, just 6 months prior to her sudden and totally out of the blue departure, she had a head on collision with a another vehicle here in Adelaide, and it also included my son who was a passenger, he was only 15 yrs old. They both survived my now ex wife had suffered slightly more injuries than my son who i feel had suffered more trauma than physical injuries, i was just about to go to work and install some ceiling fans when i got the call from the hospital, i almost fainted after i was just advised my family were now in hospital after a head on collision. Apparently the other driver suffered some mild sort of heart attack, even thought he was able to walk around his car immediately after the accident. Again, these stressful events i believe also added to some of my stomach, nerve, and bowel conditions, so i now have come to the conclusion, that lifes stresses whether they were in your youth or in later adult life, definitely have an enormous effects on your overall health, as well has our dietary habits. I hope i have not been too long-winded in my short life story, but i wanted to point out some of the reasons why and how diet, stress, childhood traumas, and adulthood misadventures and even your lifes destiny can affect our overall health. written from lifes experience, Henry p.